The BlackList: James Spader makes for an interesting protagonist, though the overall plot is just strange. But damn, it's kinda awesome. We have finally rid ourselves of the overarching badguy from the last year and a half, realizing that he is merely a pawn of some greater unknown evil out there. And the mid-season finale ended by blowing up Alan Alda's character, a politician. How can we not like that? Blue Bloods. This one strikes my fancy because it's a very New York show. Centered around three generations of a cop family, you have a good strong New York vibe here. Granted, some of the issues addressed are ripped from the headlines, and they're addressed in some interesting and inventive ways. It's a police procedural, but it's centered around family. And, strangely, this has gotten to be a better show as the series stops using season-long story arcs, which I find surprising. It's usually the other way around, in my experience. 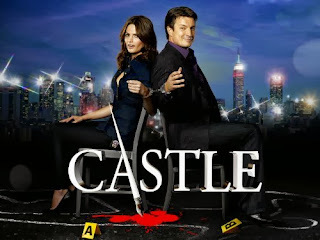 Castle: A New York cop show with witty banter, smart writing and even a romance subplot that continues even into the engagement stage? Oh, hell yes. I can't remember the last time I saw a tv show even try to follow a relationship this deeply. The main characters have even gotten married, and the show is still on. When was the last time you saw something like that? There is character development, relationship development ... though I'm still wondering why the writers have bothered with a new character-based mystery for Nathan Fillion's character, Richard Castle. Though they have, for the most part, forgotten it (or at least left it alone), content to add a new dimension to the relationship by getting Castle a PI license ... while that has led to some requisite silliness born of reading too many Phillip Marlowe novels, it continues to be solid fun. Why does DC comics manage to do on television what Marvel can't? Really? Constantine is a fun, cynical little show that uses religion in a way that has yet to offend me ... but give it time, it'll get there, I'm sure. But right now, I'm just going to enjoy the ride. And, frankly, they've already had one gun-wielding nun. This could get better, and I'm cautiously optimistic about its future. Though in this case, I'm more wondering if it has a future. Not only is it an NBC show, I hear the ratings aren't that good. I'd rather it die a natural death, mostly by sucking ... but I'm used to shows I like being cancelled out from under me. I really do enjoy this show. Even the crossovers between it and Arrow have been awesome. The storytelling is at both predictable to comic fans, while also leaving enough room for those "predictable" segments to be red herrings. They've even managed to make some comic book villains nowhere near as ridiculous as could have been otherwise. At this point, I'm just waiting for DC Comics to take over all of The CW. Also, I find it interesting that the Flash appears on Tuesday nights, and Agents of SHIELD moved to the next time slot over. Does anyone else think that AoS ran away like a little girl? If Castle's Kate Beckett were teams up with a well-adjusted Sherlock Holmes (who couldn't die), it would pretty much be Forever. It's smart, and it works, despite the odd concept. Then again, they also had a fun little Highlander joke slipped in. I dunno, I like these people. The character quirks are enjoyable, and we have a character who's a drunk without being a full-blown raging alcoholic. There is the obligatory romantic chemistry here, but it's not problematic. It's nice and easy and obvious. It doesn't fall into the usual formula of "deny chemistry ... deny chemistry... deny chemistry... THE SERIES IS CANCELLED, THEY LEADS MUST GET TOGETHER." It feels very much like Castle in that regard, too. Yes, I do think that Castle is influential, but then, it does have a heavy nerd-following, and the two shows are on ABC. Grimm. There is just so much strange you can pack into a show before it becomes overloaded and deranged. Grimm has yet to hit that particular level of deranged. Again, if you don't know the show, this premise is a police-procedural version of Buffy the Vampire Slayer. The universe design is still top-notch, the characters become more interesting as time goes on, less from character development, and more from "these person started as a cipher" and we discover "Wow, there's depth here." And the romance is adorable without being vomit-inducing. I'll take it. NCIS / NCIS: LA / NCIS New Orleans: In the case of both shows, while their police procedural aspect has remained strong, I actually think I like what they've been doing with their characters. NCIS as a new element that's fun to watch, complete with a villain you love to hate, and want to see decapitated with a stake driven through his heart. NCIS: LA has decided that their "stars" (Chris O'Donnell? LL Cool J?) are not the primary focus, and has made it much more of an ensemble cast, introducing two series-long romantic subplots and character arcs. They've got some interesting tricks up their sleeves, and they're having fun playing with the formulas they've used since day one. As for the new show set in New Orleans, it's okay, with it's own distinct flavor to it, though it needs a lot more cajun sauce to make it really different from its originator, NCIS -- maybe if they stopped with all of the guest stars. I will miss this series when it leaves. The last season for this show seems geared towards giving our leads a happily ever after, and considering the crap they've gone through, they deserve it. With a few cons along the way. Person of Interest: This one has gone a little ... odd. Well, more odd than usual. If you recall last year's review, this show in an interesting show, not just for the premise, but for the people involved. The idea is simple: every bit of intelligence gathered by the US government is filtered through an artificial intelligence that can predict acts of terror, murder, any major crime planned in advance. However, in order to protect the privacy of the population, all domestic crimes are ignored. If you ain't a terrorist, the computer isn't supposed to care. Our heroes have a back door, and they only have one clue: a social security number of either the victim or the perpetrator. Take one computer nerd, and a SpecOps shooter who should be playing Batman, and you have one fun show. In its third season, much of the character arcs thus far have been shown in flashbacks, to show you how these people used to be. Now, an evil AI has taken over, it has unlimited funds and operatives, and even the government is being manipulated. Paranoia is thick in the air around this one. But the creators and writers are still having fun with this show. They even had one episode where they made fun of their own writing formula. And you have to at least admire a show that can do that. While this show is slightly formulaic, it works. There was a slight element of cut and paste character elements to start with, but they've mostly shaken that off over time with additional backstory. So far, the "normals" of this show continue to steal it, particularly Agent Cabe Gallo, played by Terminator 2 alumnus Robert Patrick. Like Forever, the "romance" on this show goes past the usual formula of "we're going to deny there's any chemistry here until the last season." Maybe Castle is rubbing off on these writers. And, still, I prefer smart people being written like smart people... who usually operate on a whole different level from your average person. Last year, this show was insane. This year, it's just stupid. Let me count the ways. Hell, every other conversation is exposition. Character development? We have that? 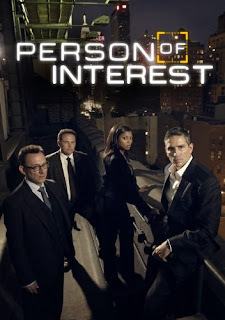 An episodic format gave way to a serial that is just tedious, and soap-opera based. Heck, the "mid-season finale" (which was when it was more than three-quarters finished) ended the primary threat of the entire series. The series is done. There is no more need for it to be there. Have a happily-ever-after, and let the rest of us get on with our lives, okay, Sleepy Hollow? You know it's bad when the cast has a hot redhead who I dislike. This is a surprising little show that I never really expected to be this good. It also has a sly, devious wit, every episode ending with music that, in the context of the show, is as creepy as hell. Basically, it's a show of jump-scares that I actually like.